Senior Will Lienhard leads all of Division II in rebounds per game. Online Photo. 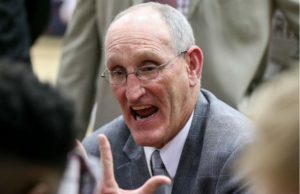 Coming off consecutive tough losses against cross-town rival University of Central Oklahoma (UCO) and conference foe Newman University, the Oklahoma Christian University men’s basketball team currently sits with a 3-4 record headed into nonconference action over Christmas break. In the Thursday night game against UCO known as “Edlam,” the consistent dribble penetration by the Bronchos highlighted the early defensive struggles the Eagles have experienced early on this season. 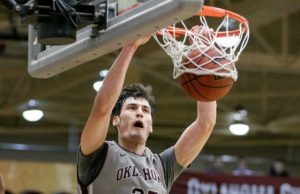 In an interview with Oklahoma Christian sports information director Murray Evans, head coach Cory Cole said their defensive play and resulting foul trouble has been an issue they have been fighting to fix. Defense and foul issues proved detrimental in the Eagles’ loss against Newman, in their Heartland Conference opener Saturday. The Jets hit 38 of 46 free throws in comparison to the 27 made by Oklahoma Christian. 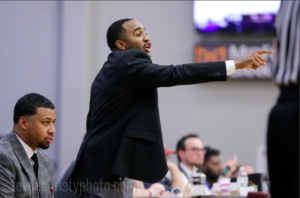 This drastic difference was the driving factor in their overtime loss as they fell 100-94 in overtime. 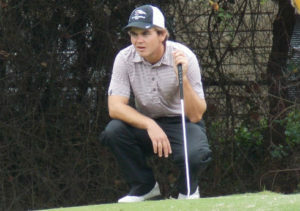 In a similar atmosphere, the Eagles battled No. 5-ranked Southern Nazarene University earlier in the year. After shocking the Crimson Storm last season, Southern Nazarene imposed their will, altering the outcome in this year’s matchup. The Eagles fell short 84-55. 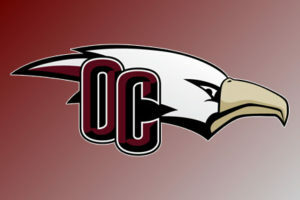 Although not faring well in those elite contests, Oklahoma Christian holds a 2-0 record at home in the Eagles’ Nest. In their season opener against Manhattan Christian College (KS), the Eagles dominated on both sides of the ball and touted a unique level of depth in front of a big homecoming crowd. Cole said this versatile core is a great asset that is equally matched by their on-ball intensity, something he hopes to continue to be strong throughout the season. In the middle of the offensive explosion is senior Will Lienhard, a staple to the competitiveness of Oklahoma Christian hoops. Lienhard is currently leading all of Division II in rebounds per game with 13 and is averaging a steady 8.7 points each contest. The 6 foot 7 forward’s physicality, timing and ability to crash the boards has led to three consecutive double-doubles. Senior guard Jordan Box and juniors Brian Carey and Aubrey Johnson are averaging 14.1, 10 and 12.1 points per game, respectively. Johnson boasted a season-high 32 points in Saturday’s game against Newman. From the field, Oklahoma Christian is shooting a strong 47 percent while limiting their opponents to 39.6 percent. This is a consistent trend in the Eagle’s stat line as they are averaging a better three-point percentage, free throw percentage, rebounds per game, assists per game and blocks per game than their opponents. These numbers and recent offensive production are a strong positive for Oklahoma Christian to build on, as Cole said there has been consistent improvement. 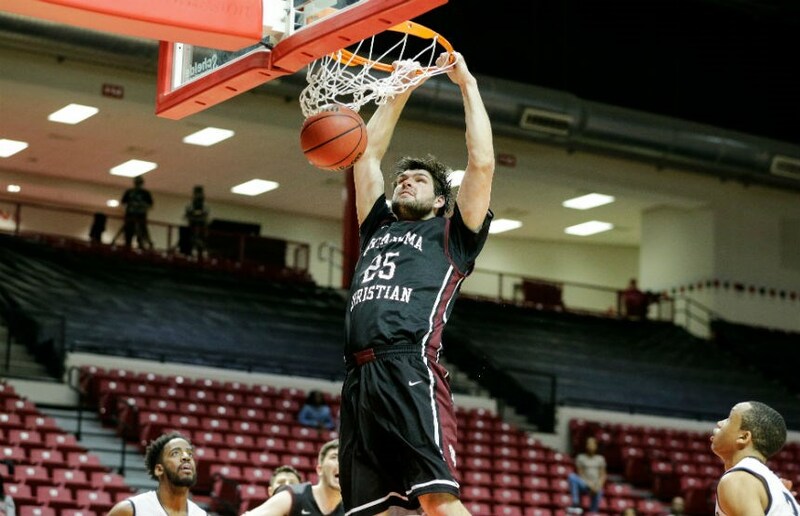 Oklahoma Christian will play Southwestern Oklahoma State University Thursday, Dec. 6 at the Eagle’s Nest at 7:30 p.m. They will resume conference action on the road Jan. 9 against the University of Arkansas-Fort Smith.